Police officials in Niger Republic have arrested a suspected politician from Nigeria carrying 4.6 million Euros in cash. The suspect was heading to Dubai through Diori Hamani Airport in Niamey, the capital city of the Republic of Niger when he was caught. 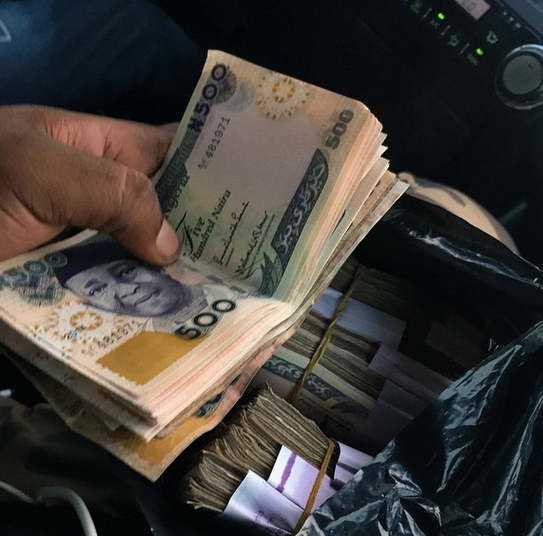 The Nigerien police said they suspected that the man was fleeing with the money in order to avoid being caught by the administration of President Muhammadu Buhari, who has been prosecuting an anti-corruption campaign since assumption of office on May 29. They also expressed worry that there had been an upsurge in the number of Nigerians trafficking huge sums of money in cash through the neighbouring country. Even if them return de man 2Nigeria wit dat money,na only our OGA’s @ de top go kn watsup wit de money. Xo looTt as u can. then this guy was arrested with 4.6 million Euros in the Nigerien airport, what is the Naira doing here? what is the names of the politician with that hug amount of sum? you guys should stop all this nonsensical. Can Gen. Buhari’s critic see the reason he quickly travelled to three countries that border Nigeria; Niger,Cameroun and Benin Republic. He had secured their support against criminals that will use their respective nations as escape route into oblivion.